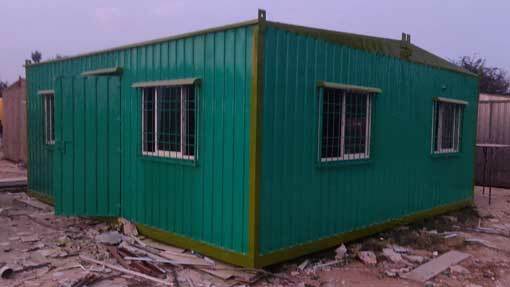 SAMAN POS India Pvt Ltd is a leading pre-engineered cabins suppliers in India offering a premium range of customized container homes, mobile toilets, prefab kitchens, Offices structures and many more. With a mission to deliver excellence, we have always excelled ourselves in delivering orders before time without any compromise in quality. 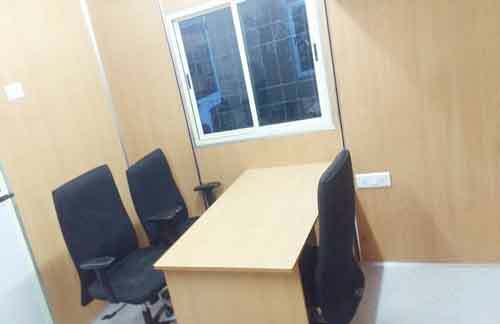 We are simple and the most reliable portable cabins manufacturer in India. Get Early Bird rates, and much more! Transform your your project, compelet it on time by starting it immediately with help of porta cabins, do more with less. 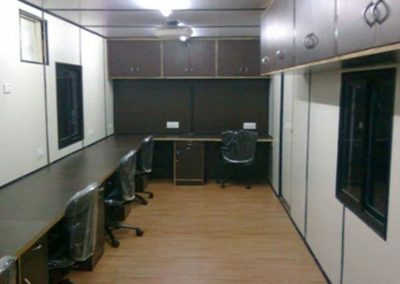 Find container office tailor-made for your small or midsize company. We, Saman Portable Office Solutions from 2017 are one of the famous Manufacturer and Supplier of a wide array of Portable Office Cabin, Portable Shop, Portable Container, Portable Resort etc. This range is precisely manufactured using the best quality raw material and contemporary technology under the guidance of skilled professionals in compliance with the set quality standards. Also, our products are acknowledged for their features like robust construction, optimum efficiency, optimum quality, reliability, and durability. As per the requirements of the customers, these offered customized and portable cabins can be customized. SAMAN has been built on strong business ethics which are instilled throughout the group. The business encourages all its employees to be innovative. 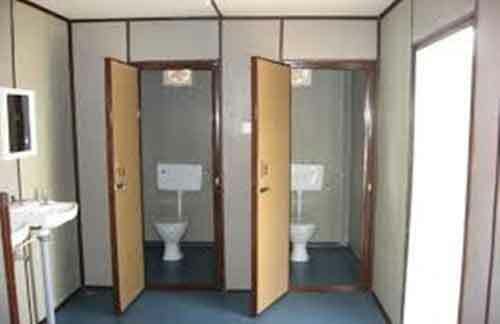 Our manpower always thinks outside of the box in order to continually provide ACP Porta Cabin, ACP Portable Cabin, ACP Security Cabin and ACP Toilet to each customers’ portable requirements. With the world going eco-friendly, we at Saman Portable have also walked down the Green Path by manufacturing eco-friendly security cabin. 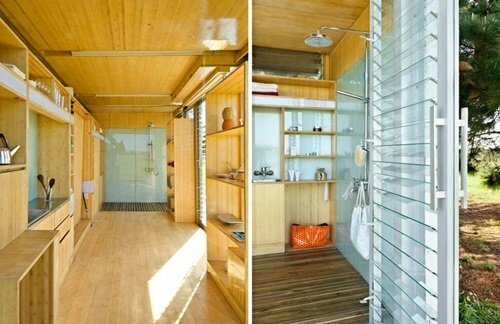 A prefab security cabin offers a customizable place to accommodate a limited number of security members. Although, with modular cabins, a company can easily extend or dismantle the cabin based on the increase and decrease of employees. It’s time to let go of the time consuming brick & mortar building process that often takes a hefty portion of your savings. Apart from financial and time consumption, creating a brick and mortar structure often results in hoarded industrial wastes and toxic waste. Our service is customized as per the requirement of our customers. Whether you are a small company with less than 10 employees or a large organization with 100+ population, we can cater our services and make them available to you within your time limit. With a strong market presence, we have established productive partnerships with various prestigious organizations across the country, which enables us to provide custom-designed services within a short duration. 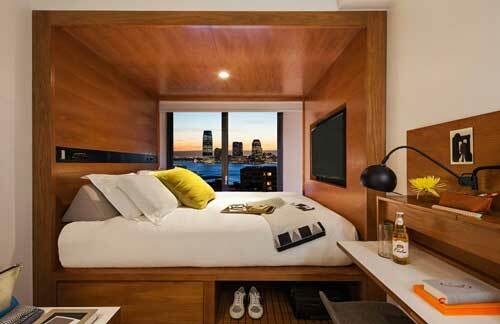 We deal with single cabins, large offices with compartments, kitchen, prefab hotels, and many more. SAMAN POS India Pvt Ltd, you don’t need to bleed money for getting quality services. 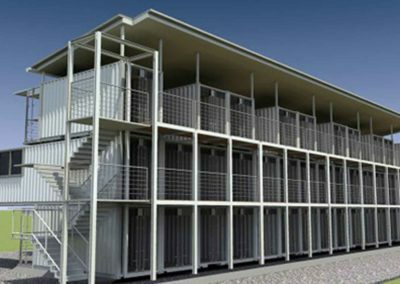 Accumulating Raw materials, Hardware, Machinery, Labors and all other costs associated with on-site housing are extremely high compared with Our portable structures. It’s quite hard for a small or medium scale organization to gather such tremendous resources. 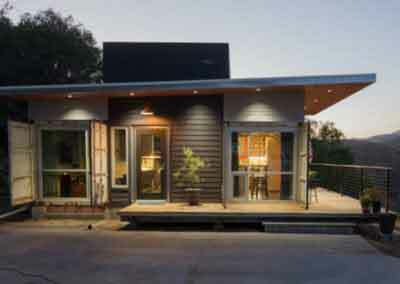 Therefore, most companies (even Large Scale) companies have chosen the prefabricated structures as costs significantly lower than traditional buildings. Moreover, being portable, they are easily transportable to different places. Our products are manufactured at off-site locations and then delivered to the on-site location, thereby it eliminates all the costs incurred at an onsite location. Our prefab structures come with easy to fold features, which means you can dismount them and stack them inside your truck easily. Organizations belong to industries like construction, mining, entertainment, etc. have to travel regularly. In such a work culture, it’s impossible to construct portable offices, toilets, security cabins, etc. in a traditional manner. Constructing brick & mortar buildings costs a lot, but with prefab structures, you don’t need to go through that phase repeatedly. 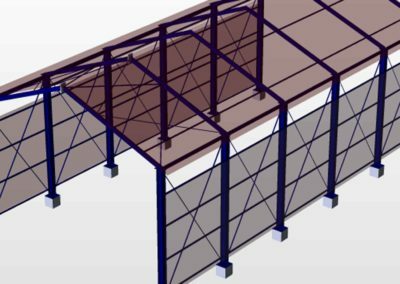 Pre-engineered buildings are a one-time investment and it caters all the daily needs of the employees. All you need is to assemble the materials and your pre-made buildings are all set for long-term use. All pre-engineered building manufacturers have to follow a legally compliant safety procedure during the manufacturing process. 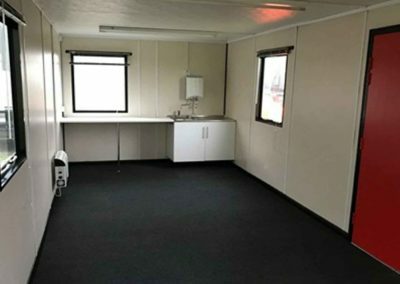 Although portable buildings offer similar safety features as traditionally-constructed buildings, they are legally enforced to follow the safety protocol. Meanwhile, traditional builders enjoy some leniency, therefore, the quality of the building is entirely dependable on the quality of raw materials, the construction process and the supervision of the officials. Whereas, our products at SAMAN POS India Pvt Ltd come manufactured with premium raw materials, and goes through numerous quality checks before they are availed to the customers. 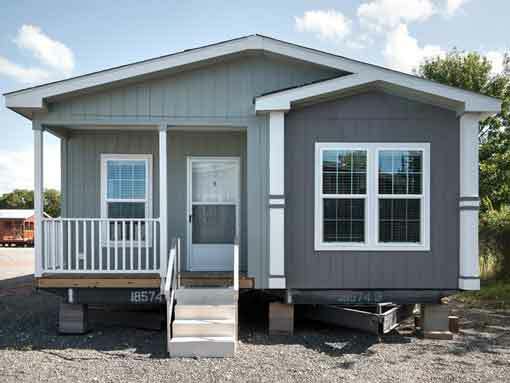 Our prefab building comes in different shapes, sizes and layouts, adhering to the demands of our customers. We have a team of designers and a list of preapproved building designs. We also welcome custom designs from our clients. If you have a fresh design in mind, then you can share them with us and we will employ our team to transform your dream idea into reality. We can construct a single floor building or building a multi-floored building with en-suite porta bathrooms or construct bathrooms outside the resident area. You can order us to make various modifications so to install equipment like air conditioners, ventilators, beds, table, kitchen, ceiling fans, lightings and many more. 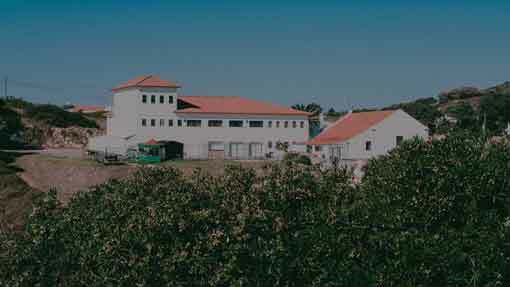 When you construct a traditional building, it involves the time of assimilating raw materials, arranging workers, preparing the site, construction time, and many more. Usually, it can take months extending to years in large cases. 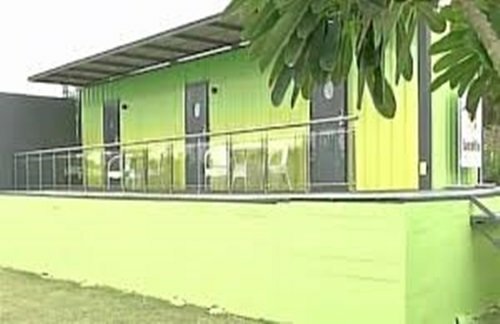 However, with our prefab structures, you don’t have to follow any kind of hassles associated with constructing a traditional building. As all the structures of our prefabricated buildings are securely manufactured in an off-site location, you don’t have to invest in any kind of on-site work. After the manufacturing & testing period, all the parts of the buildings will be transferable to you at the location. From there it will hardly take 4-5 days to complete the installation process. Constructing a brick and mortar building leads to air pollution, noise pollution, release of harmful gases, chemical fumes, and several other hazardous carcinogens. Moreover, onsite work leads to land pollution and accumulation of construction debris. 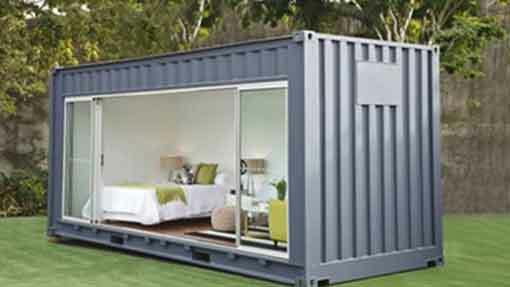 Our core raw materials consist of reusable shipping containers which are eco-friendly in nature. By combining renewable materials and modern technology, we provide a product that doesn’t affect the environment as related to traditional construction. At SAMAN POS India Pvt Ltd, we set our path towards a clean & greener world and appreciate anyone who likes to join us in our noble mission. We use ACP materials which are known to provide extreme durability, impact proof, and bacteria proof. Our materials come from shipping containers, which goes manufactured to withstand the harsh weather of the sea. So, compared to that, the climate of India doesn’t seem so erratic now. Anyways, our stringent procuring process ensures you an incredible product that can easily deal with the climate of India. Our Pre-engineered buildings easily endure heavy rainfall, summer heat, winter, including hailstorms, cyclones, hurricanes, floods, and earthquakes. Since 2017, SAMAN POS India PVT Ltd has maintained the top position as a supplier of custom-built portable structures made from high-quality ACP materials and ultramodern technology. All our products undergo a stringent quality test under the supervision of our procurement officer. After a successful evaluation, we safely transport the order to our client’s location without any delay. Since our inception, we have strived for perfection and providing incredible customer support. 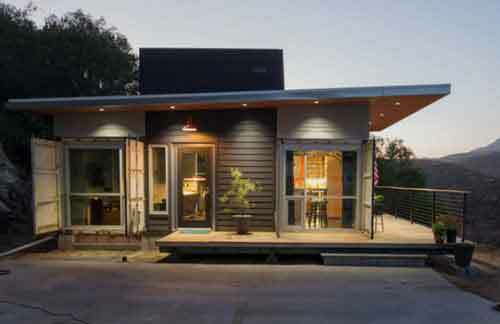 If you are looking for a new home, office, or any other prefab structures, you can always ask “Mr. Alam Khan” for guidance. Being a prominent part of SAMAN POS India Pvt Ltd, Mr. Khan has enriched us with his industry knowledge & business acumen and helped us achieve undeniable excellency in the respective sector.